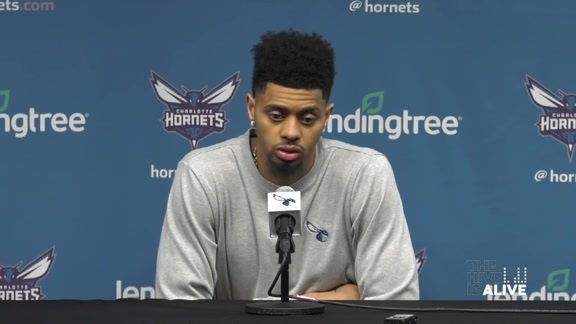 June 25, 2015 – Charlotte Hornets General Manager Rich Cho announced today that the team has acquired guard Jeremy Lamb from the Oklahoma City Thunder in exchange for guard Luke Ridnour and a conditional 2016 second-round draft pick. The Hornets acquired Ridnour earlier today from the Memphis Grizzlies in exchange for forward Matt Barnes. The 6-5 Lamb was initially selected with the 12th overall pick in the 2012 NBA Draft by Houston before being traded to Oklahoma City just before the start of the 2012-13 season. He played in 148 games over three seasons with the Thunder, averaging 7.0 points, 2.1 rebounds and 1.1 assists in 15.7 minutes. Lamb has career shooting percentages of .422 from the field (391-927), .348 from beyond the three-point line (135-388) and .857 from the free-throw line (114-133). He also saw action in 11 playoff games, averaging 3.6 points and 1.5 rebounds in 9.1 minutes. Lamb played in 47 games for the Thunder last season, starting eight. He averaged 6.3 points and 2.3 rebounds in 13.5 minutes, while shooting .416 from the field (104-250), .342 from beyond the three-point line (38-111) and .891 from the free-throw line (49-55). 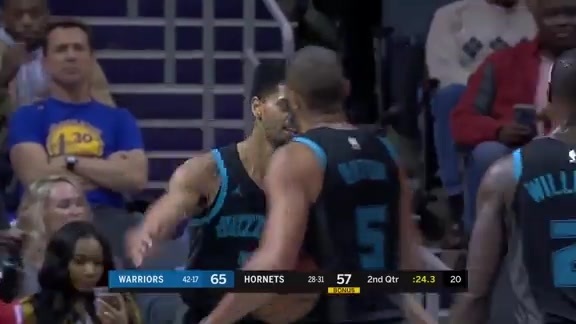 A teammate of Hornets guard Kemba Walker on the University of Connecticut’s 2011 NCAA Championship team, Lamb played in 21 games for Oklahoma City’s NBA D-League affiliate as a rookie in 2012-13. Lamb, who was named a D-League All-Star, averaged 21.0 points, 5.3 rebounds and 3.0 assists in 32.8 minutes. He shot .490 from the field (169-345), .352 from beyond the three-point line (37-105) and .880 from the free-throw line (66-75).